Does Online Bingo Maximize New Technology? Évaluez cet Article Considering how advanced technology has become, let's take a gander at the many amazing tech that can make online bingo so much more interesting and exciting to play. 2018 is the year of advanced technology. Sophia the robot from Hanson Robotics has already grabbed headlines with her ability to hold a conversation and make reasoned judgments; Twitter users were terrified and excited by the prospect of one robot opening a door for another robot, and Bitcoin and other cryptocurrencies received some PR for the general population, having everyone asking what they are and whether they should be adopted. But that’s just the start – with advances in AR, VR, and live streaming, are all industries embracing this new technology? Taking a look at online bingo, we can see how far they’ve come, and how far they may have yet to go, technologically-speaking. 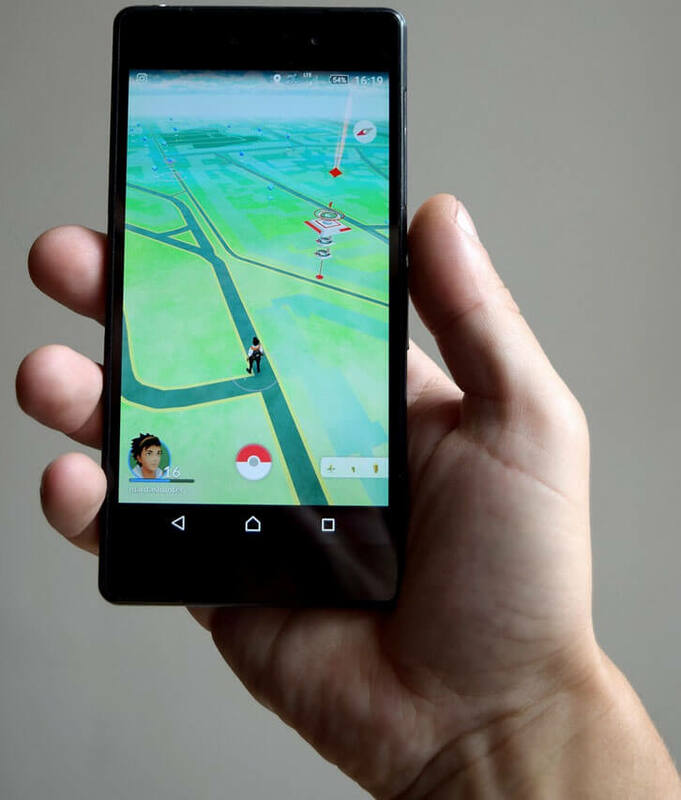 Augmented reality looks set to return, having left its mark on the industry and the world in the form of Pokemon Go in 2016. One year after its debut, 65 million players worldwide were logging on regularly, with a total of 750 million downloads of the game. Pokemon Go accruing $1.2billion in revenue shows that other franchises taking on AR would be profitable. AR bingo would likely involve players indulging in games of bingo at various physical locations through online means. There would need to be more of an incentive, but the logistics would work the same. The success of the upcoming Harry Potter AR game by Niantic, Harry Potter: Wizards Unite, will determine the direction of the trend. Plus, the AR Animal Crossing would further allow AR as a 3D mobile experience to take off. Though all three are conducive games to blend the real with the corporeal, so other brands would need to have a logical reason for augmenting reality. Consumer expectations also have an impact on AR. The Vuxiz Blade and DigiLens MonoHUD recently showed what they could expect with the AR software of normal looking glasses. Bingo could adapt AR in many different ways, through both online and mobile versions, also incorporating key brands. Live streaming is another technology quickly being adopted. Established in 2011, Twitch earns 45 million views per month for hosting games live on its platform, while eSports tournaments are being live streamed officially for the first time. Facebook even paid a whopping $400,000 to ESL for the rights to showcase their live streams of events exclusively, showing that live streaming is certainly a hot commodity. By showing how the spectator can be as important as the player, live streaming helps add to the all-compassing experience. While bingo may not yet be live, other aspects of online gaming are leading the way. Live streamed casino games are widely available online, and bingo can seek to offer live draws featuring glamorous hosts, in a similar fashion to live casino games. For instance, the site Betway offers live casino Hold'em, blackjack, and roulette, among others, with a live dealer, upping the ante for the immersion factor and adding a sense of risk and reality to playing online. Live streaming technology offers a chance for gaming to become more mainstream, and for the technology employed in gaming to then be seen as more mainstream. Figures in 2014 showed that YouTube gaming streams were viewed more than TV network HBO’s online viewing, showing a move towards interactivity. Live streaming allows spectators to feel more a part of the action, and they do so through allowing for chat, emotion displays and more. In the case of YouTube, that option only means comments, but in other cases, there are even more chances to get involved. Virtual reality is another area of technology that shows promise for the future. From Facebook 360 images allowing your friends to see an entire panorama as they move their own device, to apps that offer games using VR technology – such as Maze Walk VR, which forces you to trace out the path of a maze that appears in front of you. Gaming platform Steam also offers many options to play in VR. But, for an average consumer the software and hardware required and prohibitively expensive. If faced with a medium adoption by 2020, the VR industry will bring in $15.6 billion, and its software and hardware would have a worldwide market size of $40.4billion. VR bingo would be more difficult to enact, but would definitely add a new dynamic to the game. By 2021, 80 million people will be using VR technology, so with such a move, gaming, including bingo, should look to enhancing their offerings to match the offering that will become mainstream. So with so many avenues for new technology, is bingo going to make the most of it yet? The cost of branching out into the new tech, while projected to be successful is also costly in its development. While bingo may still be in its early stages of branching into new technologies, the sector is performing well. So a move of progress with another form of technology will definitely help breathe new life into the game. Those fans of new technology would be able to connect with the technology in an easier way by playing bingo, while those fans solely of bingo would be able to try out new technology. By targeting new technology at the audiences that bingo is aimed at, the mainstream adoption of such technologies would become faster, thus proving the 2020 figures accurate. Bingo itself is largely taken up by players and operators in the UK and USA, so by branching out to the rest of Europe, a greater audience can be reached, especially if the bingo offered matches tech growth trends for their own countries, resulting in greater implementation and adoption. Ultimately, online bingo must reflect its audiences and while pushing new technology is crucial for sector growth, being able to offer a game that its fans want to play is the greater necessity. The progress of online bingo will, therefore, reflect its player demographic.